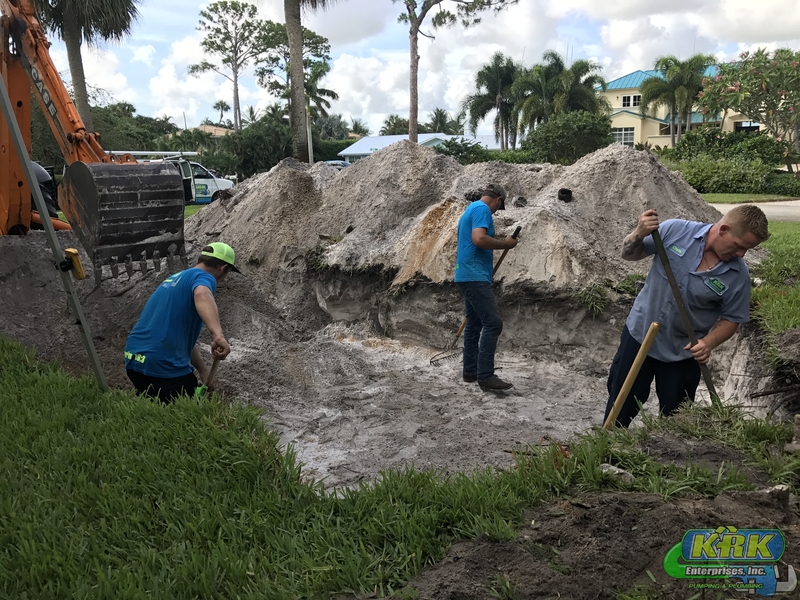 The primary purpose of a septic tank drainfield is the dispersal and storage of waste-water until the soil can accept it. The water moves through the open areas (voids) formed when the rock is piled or placed. Thousands of years ago, clay roofing tiles were added to gravel to increase the voids. Over the centuries, these tiles were developed into round clay pipes, and eventually black HDPE corrugated pipe which is now commonly used. 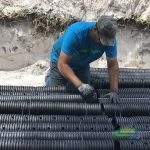 Modern lifestyles have made it necessary to improve the efficiency and function of these rock systems. 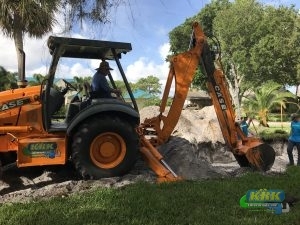 KRK Enterprises, Inc. provides drainfield repairs throughout Fort Pierce and Port St. Lucie, Fl areas. 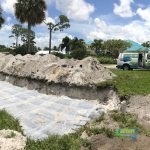 Call on your local drainfield specialists to get the best service in the region! 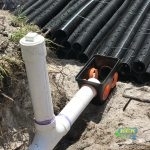 The patented* PTI Multi-Pipe Systems (MPS) offer substantial advantages over the old “stone aged” drainfields. The PTI MPS (whiffle pipe) functions much like a trickle filter. 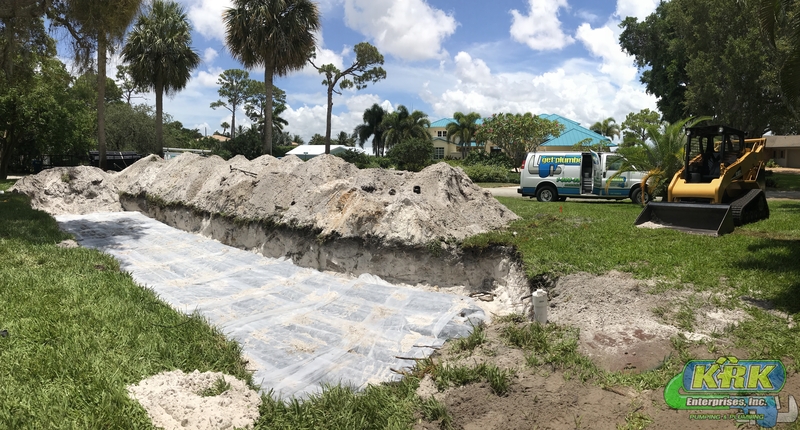 The PTI white lined distribution pipe disperses the effluent into the voids in and around the specially banded PTI void pipes. 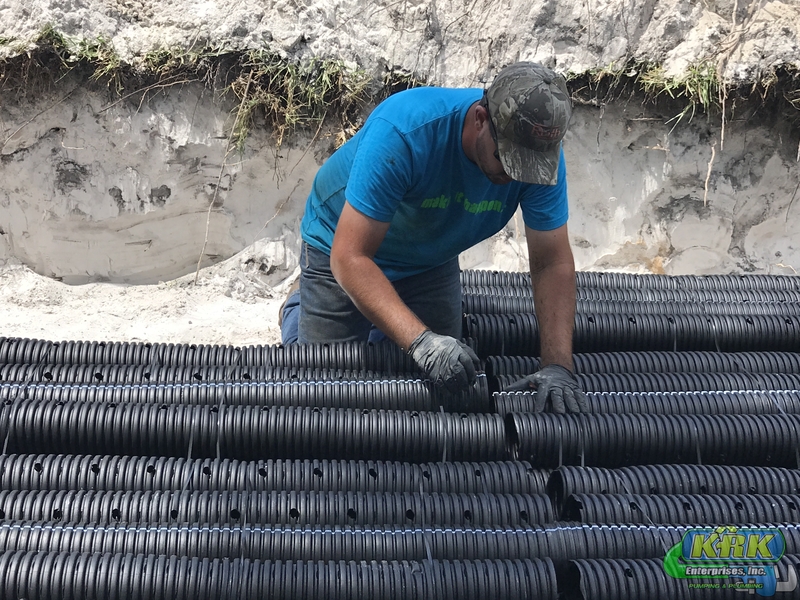 These pipes are engineered with both holes and slots, allowing them to collect and disperse the water as it passes over the thousands of corrugations in the pipe. 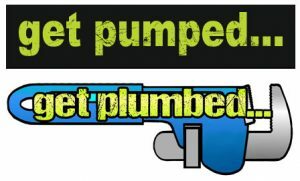 PTI MPS-13 and MPS-11 are available for both residential and commercial septic tank installations through a network of factory trained, licensed Septic Tank Professional. 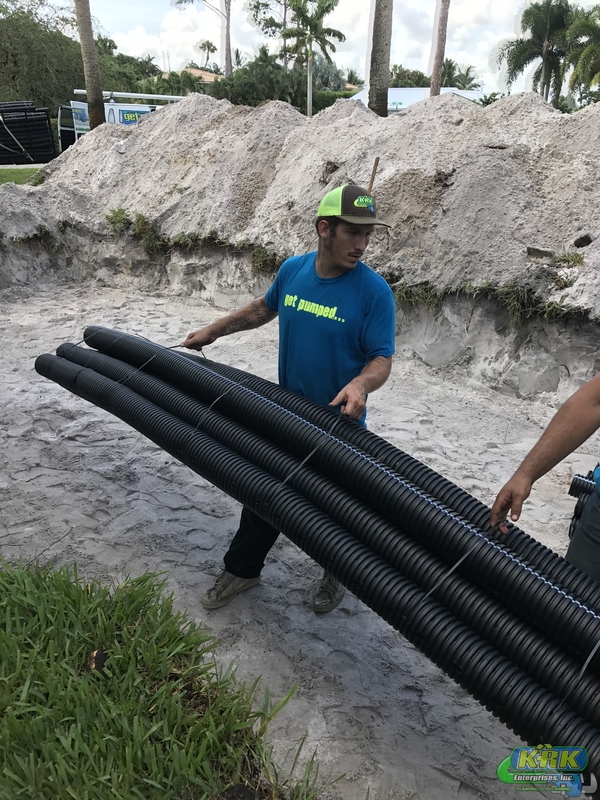 Properly sized and installed, the MPS-13 or MPS-11 drainfield system will provide years of trouble-free service. PTI MPS-13 and MPS-11 provide a variety of solutions when available area limited by obstructions or restricted by code. 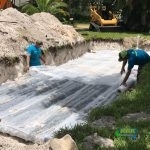 MPS is ideal for sub-surface or mound, in trenches or a bed. Both PTI MPS are easily adapted for dosed and pumped systems. 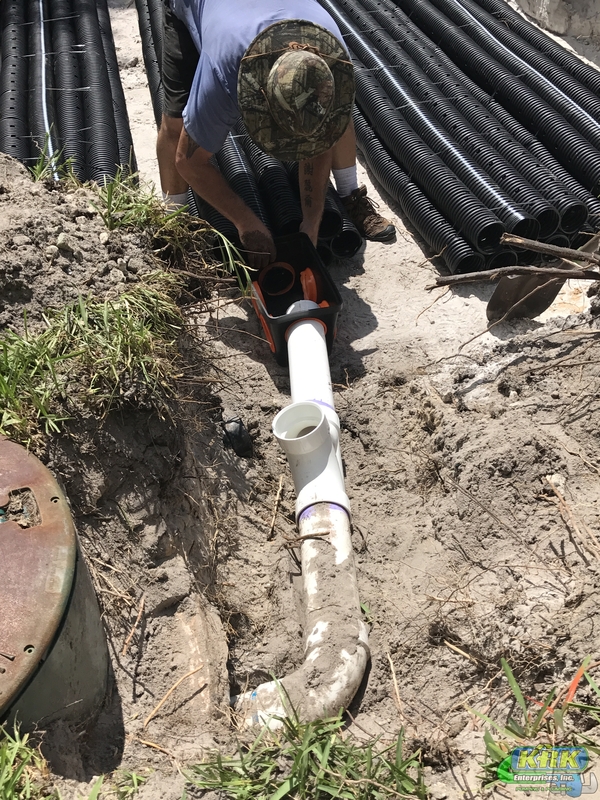 During periods of high usage or slow percolation, the storage capacity of the MPS can mean the difference between a functioning bathroom and backed up drains. The MPS performs more efficiently than rock in much smaller area. 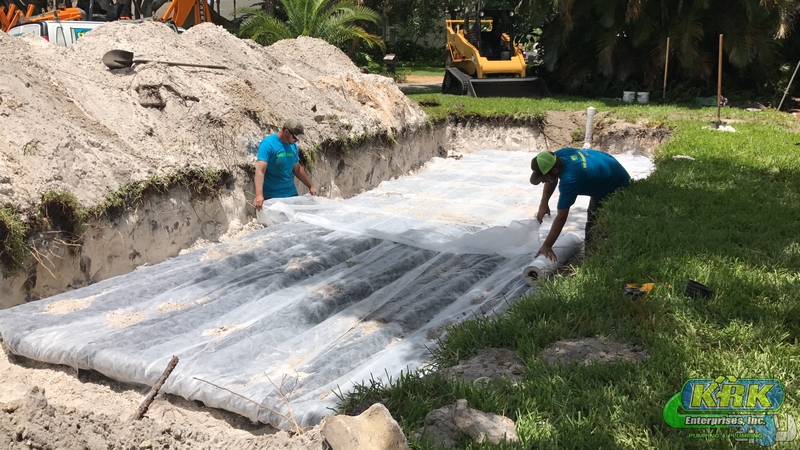 Reduced height of all the MPS result in shallower installations, greater water table separations, or lower mound design. 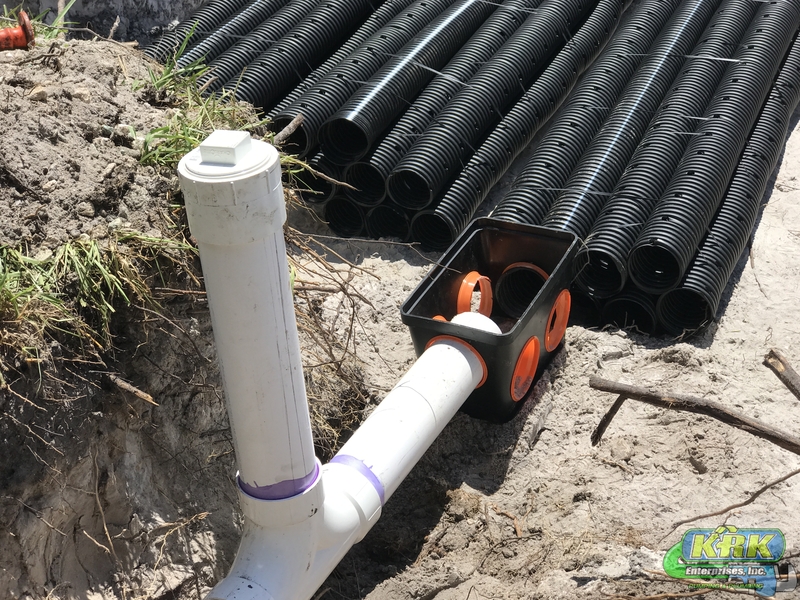 The PTI white lined distribution pipe (D) disperses the effluent into the voids (V) in and around the specially branded PTI void pipes. 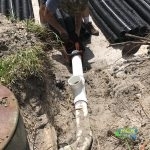 The available area of contact where water can enter the soil is substantially better in the MPS because of the numerous corrugations in the pipe.